Updated: Michelle Guthrie has been sacked as managing director after less 2.5 years in the role. It follows months of discussions and continued grievances within ABC staffing ranks and ongoing media headlines. Guthrie began in May 2016 replacing Mark Scott, after having been managing director of agency relationships for Google’s Asia-Pacific region. The Australian reported Guthrie and Milne had clashed over a number of key projects and how to deal with a hostile Coalition government as the ABC prepares its case for its next round of three-year funding, its triennial budget. It claimed a number of executive sources inside and outside the ABC say there is little contact between the two executives, and that Milne is more frequently in contact with other ABC executives. Fairfax suggests one of the central disagreements between Ms Guthrie and the board was over Project Jetstream, a costly long-term plan to transform the ABC into a digital, post-television media service. Justin Milne has strongly backed the project, warning the ABC will “wither away and cease to exist” without substantial government investment in its digital-only future. But it is understood Ms Guthrie was sceptical about the ABC’s ability to extract extra funding in the current climate. “That said, I think Michelle tried hard and was involved with government,” Milne has said today. He said the decision to sack the managing director was not a reflection on the selection process when she was appointed as Mark Scott’s successor. “It doesn’t always work out, you know. It is one of the most difficult things that you do in business, make selections of employees. It doesn’t always work out,” he told ABC. David Anderson, Director, Entertainment & Specialist, becomes Acting Managing Director as a recruitment begins. Prime Minister Scott Morrison said it was a decision by an independent ABC Board, after having been advised by Communications Minister Mitch Fifield last night. The decision follows discussions over several months that concluded when directors resolved that it was not in the best interests of the ABC for Ms Guthrie to continue to lead the organisation. Chairman Justin Milne said the Board believed that new leadership would benefit the organisation, its dedicated employees, and the ABC’s audiences. “In resolving to seek fresh leadership, the Board’s foremost consideration was the long-term interests of our own people and the millions of Australians who engage with ABC content every week,” Mr Milne said. The ABC Board has invited David Anderson to serve as Acting Managing Director until the role is filled on a permanent basis in coming months. Mr Anderson is currently Director, Entertainment & Specialist, responsible for broadcast television networks and associated services, radio music networks, podcasts and specialist radio content. He has enjoyed a successful career in the broadcast television and media industry for nearly 30 years. Succession planning receives continuous attention from the ABC Board. It has commenced a formal search process that will involve internal and external candidates. By law, Managing Directors are selected by the ABC Board independently of the Government and Opposition of the day. Not remotely surprised….I have frequently stated my thoughts about this…..Hopefully the ABC can comeback now to a better place. Shades of Geoffrey Whitehead / David Hill in the 80’s. Clearly Malcolm’s mate wants to do the same thing and become MD himself so he can lobby for his digital fantasy “Project Jetstream” – which no government of any persuasion is going to fund. 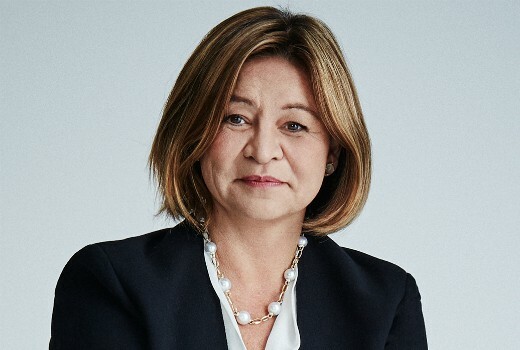 Problem for the ABC and what Michelle Guthrie walked into came when BBC First set-up in Australia on Foxtel in 2014 as the ABC pretty much lost all that first run content to BBC First from June 30th 2014 which meant sourcing more from ITV and Channel 4. Of course they can get third run rights after those BBC First shows move to UKTV for a bit, however it did leave a big hole in their programming. Having said that, not sure why though they didn’t look to the US like SBS have with The Handmaid’s Tale, From Dusk Till Dawn, Fargo, Vikings, Homeland and etc., (sure some also went to Foxtel and Stan but still lots out there) after all money was freed up losing those first run BBC rights. Now can they bring back the shows she got rid of – Good Game, The Checkout, Catylist (original format)? Remember don’t hold your breath on any of that Rachel…Unfortunately. I wonder if this trend and pressure to put women in executive roles whether they are qualified or not has backfired in this particular case. It will be interesting to see who the replacement will be. Yeah, I am so sick of whenever a man is stood down from a leadership role that all the articles are about the pressure to promote men before they are ready. Oh wait – that discussion never happens unless it is a woman. Men get an infinite number of chances to try and fail and are judged as individuals. All women on the other hand must be extrapolated from one data point. Women in TV breakfast this week should be fascinating. Best news I have heard! Very short lived – wonder what the eventual crunch point was? Turnbull allowed the ABC to get away with murder. I am certain the new PM does not share the same view. Malcolm also had a “hands off” approach to the comical channels as well. IMO ScoMo is more concerned about the right wing media than the alleged leftish ABC. She was way out of her depth. No profile, no prescensce, no real media experience and most important no news editorial nouse. A dumb appointment in the first place.